My wife and I recently took our kids to Orlando, Florida for a family vacation which included their (and my wife’s) first visit to the Walt Disney World Resort. If you have never been on a Disney vacation before, I can assure you that when you make the decision to go, the amount of information you will have to absorb is a bit mind-bending. I thought I would share some of what we learned on our Disney vacation experience in an effort to ease the confusion for others. In this post, the first in a series, I will talk about lodging options for large families. How can I make sense of all the options? I know there are plenty of other types of lodging, but for this post I will concentrate on the ones we considered. The level of amenities and cost grow as you move down that list. Regardless of the level you choose, you can be assured you will pay significantly more to stay at a Disney Resort than you will to stay at any comparable resort hotel outside the Disney property. For the breakdown of much of Disney’s 2012 rate structure go to http://www.wdwinfo.com/wdwinfo/disney-rates-2012.htm. If that all seems pretty pricey… IT IS. Don’t forget though, none of these prices include the mandatory 12.5% (or more) resort tax that will be added to the bill. Even with a discount (I have seen 30% off signs near my office recently), staying on that Disney property is never cheap. That said, the occupancy rates for these properties are very high, so Disney is able to convince many people that these rates are worth paying. If a timeshare owner has points they don’t wish to use, they can “rent” (sell seems more accurate to me) those points to someone who wants to use them. A transaction like that can be done directly with the timeshare owner via Kijiji or some other way, but that would seem to leave the buyer a lot of risk if the seller is not honest. I would not do this myself unless I knew the person personally. A gentleman in London, Ontario has figured out a way to make the DVC Rental thing work with less risk. David’s Vacation Club Rentals is essentially a matchmaker that brokers people wanting to sell Disney Vacation Club points and those wanting to buy them. Someone wishing to buy points pays $13 to David and he in turn pays $10 per point to the person selling those same points. Just the fact that there is someone in the middle brokering many transactions means that more options are available to the buyer, more renters are available to the seller, and the risk to both parties would seem to be lessened. I have not used this service myself, but I have heard good things about it from others and I like the concept in general. More information about the service can be found at David’s FAQ page. The major advantage of the DVC Rental over renting a similar room directly from Disney is the potential cost savings, which I understand can be substantial. That said, even with a DVC points rental savings, staying off the Disney Resort is still likely to save you a considerable amount of money. 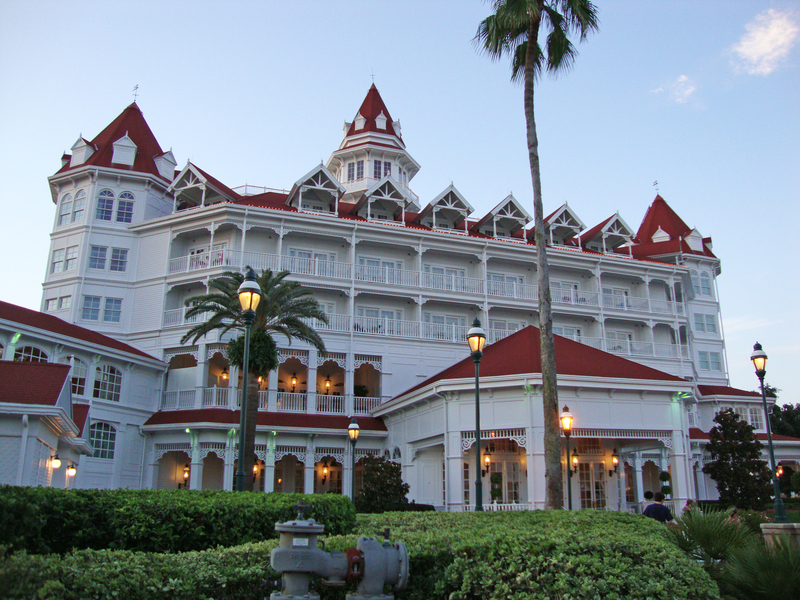 There are several hotels on the Disney property that are not operated by Disney. These “on-site” hotels may not offer all of the benefits of a Disney resort, but they often offer some additional benefits over and above “off-site” properties. These two properties are not owned by Disney but enjoy the privilege of being listed as a lodging option on the Disney website under the category of “Other Select Deluxe Hotels” – a privilege I am sure they pay handsomely for. The Dolphin and Swan are within walking distance of Epcot and Hollywood Studios, and guests are able to make use of the Disney transportation system. As you can imagine, there are many choices when considering a Hotel, Resort, or Timeshare that is near, but not on Walt Disney World Resort property. There are literally hundreds of options in Orlando in this category. Given the sheer volume of choices, unless you have close friends with a positive personal experience at one of them, websites like Expedia, Travelocity, and Trip TripAdvisor are probably the best bets to narrow the field. Another site that might help you with your lodging choice is MouseSavers.com, which has a great deal of information about Disney vacations, including a list of “preferred” Non-Disney lodging options. The option of renting a house or condo is certainly a viable option, especially for large groups. A lot of these properties are located in resort communities that have community pools, movie theatre’s and other amenities. Many of the houses come with their own private pools and hot tubs as well. There are thousands of options to choose from in this category, so picking the one for you may not be an easy task. There are plenty of people advertising their vacation properties for rent on Kijji, VRBO, Homeaway, and other sites. Properties are rented this way all the time, but that arrangement certainly comes with some risks. The most prominent in my mind would be, “What if this person gets foreclosed on before I get there?”. Since you usually have to put a lot of money down to reserve the property, and foreclosures in Florida are a common occurrence, I don’t think this is an unreasonable concern. I think if I went with an option like this I would probably do it through some kind of broker. There are many groups in the Orlando area that offer property management services and also broker rentals. One of the ones I see that advertises all over the web is an company called All Star Vacation Homes. I haven’t used that company’s services, but I think the extra cost of going through someone like them might be worth it in the long run. If something goes wrong, you are dealing a large organization with a reputation to uphold rather than one person you met on Kijiji. So there is my quick summary of some of the lodging choices in the Orlando area. I hope you found it helpful. In my next post, I will let you know the type of lodging option we chose for our vacation in December of 2011, the property we stayed at, and what our experience was like there.